On a budget and need help figuring out how to coupon online? This concise e-book will show you where to go online to find the best store and manufacturer coupons, how to combine them for the best deals, and how to stay organized. Get this bargain priced e-book with "beyond the book" extras including a video demonstration, checklist, and more. Tired of sifting through hundreds of blogs looking for coupons? 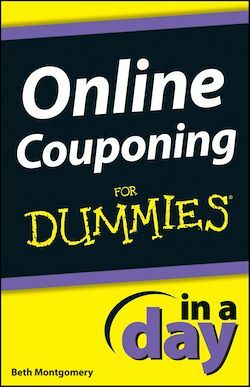 Here?s an online couponing guide you can trust: Online Couponing In A Day for Dummies.